There’s plenty of excitement still in the air following the Last Story presentation1, and this evening I am lucky enough to have the opportunity to speak to both Sakaguchi-san and Takahashi-san. Thank you very much for joining me. 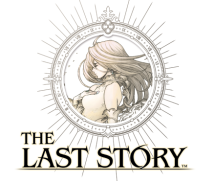 1The Last Story presentation took place in the UDX/Akiba Square in Akihabara, Tokyo on 27th December 2010. The presentation was given by Hironobu Sakaguchi. See here for more details about the presentation (only available in Japanese). Well, this is all part and parcel of a live event! (laughs) When you watch something that’s been rehearsed beforehand, you can always tell. Look, none of us are professional actors! (laughs) Now, I gathered before we began this interview that you haven’t seen each other for quite a while. I know that you both worked together at Square2, but I’d like to know how long it has been since you last met. 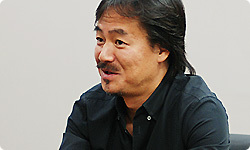 2Hironobu Sakaguchi oversaw the Final Fantasy series (from FFI to FFX-2) at Square, now Square Enix, while Tetsuya Takahashi worked on Final Fantasy IV to VII, with responsibility for graphic design. It was 1999. Then we met once about three years after that, didn’t we? Which makes it eight years since we last met. How closely did you work together when you were at Square? Back then, Taka-chan was the top graphic design man in the FF team. 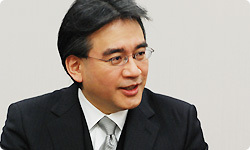 You started work on the series from FFIV3, right? 3Final Fantasy IV was an RPG first released for the Super Famicom in Japan in July 1991. That’s right. I joined when we were working on FFIV. It was just at that time when people started to take note of the quality of the graphics of the Final Fantasy series. It was a period when the leaps that were being taken technologically on video game hardware meant a dramatic raising of the bar for realistic graphics. Takahashi-san, what was your first impression of Sakaguchi-san? Let me think... Well, back then there was still a culture of gaming on home computers and I had been a fan of titles Sakaguchi-san had been responsible for, such as Cruise Chaser Blassty4. 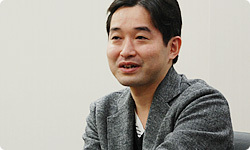 So I thought of him as someone who had created games that I had spent a lot of time playing. 4Cruise Chaser Blassty was an RPG developed for the PC-8801 and released in Japan in April 1986. I think that there is a real difference in viewing a creator from a distance, and then seeing them close-up. How did you find working alongside Sakaguchi-san? What I always found really impressive was how he would get to the office before anyone else and be the last to leave. He was someone who was always at his desk, with a capacity for work far beyond that of a regular person. I’d imagine you weren’t staying at the office late because you were trying to impress anyone. It’s rather that when you’re focused on making something that’s really good, the more time you put into it, the better it gets. And then before you realise, it’s got late. Sure enough, those were the days when things were very hands on. I can still remember the sight of Taka-chan at his desk. There was a good atmosphere back then, with everyone really focused on what they were doing. This was a time when you could see the results of your efforts really clearly reflected in the end product, which served to motivate you. There was a lot of responsibility, but at the same time, you felt the effort you put in was worthwhile. Back then, the FF team were developing those titles at quite a clip, giving them real depth, and making them vast in scale. How did you structure the team in order to successfully bring about those dramatic developments in the evolution of the series? Well, a really important element was that we were able to gather an impressive pool of talent, including Taka-chan of course. Then there were also the improvements in the hardware which increased the range of what was possible. For instance, even if there was just the smallest tweak in the amount of memory available for graphics, it would inspire the craftsman in you to make something of it. There was a real sense at that time that we had to constantly change and improve things. Back then, arcade machines had higher specifications than home consoles, so our ambition was to create something that would surpass them. So you’d be fired up with the desire to really impress players using consumer electronics which at that time were not on the cutting edge of technology. That’s right. Back then, we were free to design things as we saw fit. Do you remember the Magitek Armor that appears in the opening sequence of FFVI5? 5Final Fantasy VI was an RPG released in April 1994 for the Super Famicom in Japan. Now, I actually wanted to make it identical to the Magitek Armor that appears in the game. But Taka-chan went ahead and drew it his own way... (laughs) And he really came up with something amazing. So you had no choice but to admit that it was better than what you’d originally had in mind. Right. And it hurt a bit to admit it! (laughs) I’d say this kind of thing was pretty common back then. Well, I know how team spirit gets a real boost when everyone is coming up with all kinds of ideas, and those ideas are gelling well together. Taka-chan has always had a talent for motivating people and bringing them together as a team. But back then Square had its own particular culture. On the one hand, there was a real desire to change things, while at the same time there was this sense that things shouldn’t be tampered with. I would always worry about whether I was on the right track. But there’s always the need to actively push things forward, otherwise nothing changes. So after meeting, how long did you work together for? I was on the FF team up to VI. Partway through VII6, I left the team. I stayed at the same company, but I was in charge of a separate team. 6Final Fantasy VII was an RPG released in Japan in January 1997. I remember that back then those teams would always be dividing into smaller units. If someone displayed leadership skills, they would be given the independence of having their own team. At the same time, they would often ask me: ‘Is Final Fantasy all this company can let me create?’ I used to worry about that. When you keep on repeating the same thing, even if it’s something of real value, people start to lose that sense of it being special. There need to be fresh ideas added to the mix. But there was a lot of disagreement over just what kind of fresh ideas were needed. Right. But Taka-chan had some really good people working for him, and I think it was for the best that he got to head his own team.